In an exciting announcement for fans of digital board games, Roxley Games has just updated their Santorini Kickstarter page with the first sneak peek at their upcoming Santorini mobile app. As a backer of the Kickstarter campaign, my girls (ages 8 and 10) and I love to play this beautifully crafted abstract strategy game of tower building and dueling Gods. I have recommended it to numerous people as an easy to learn game that works with virtually any age players. Needless to say I’m stoked to see this coming to app form as well. 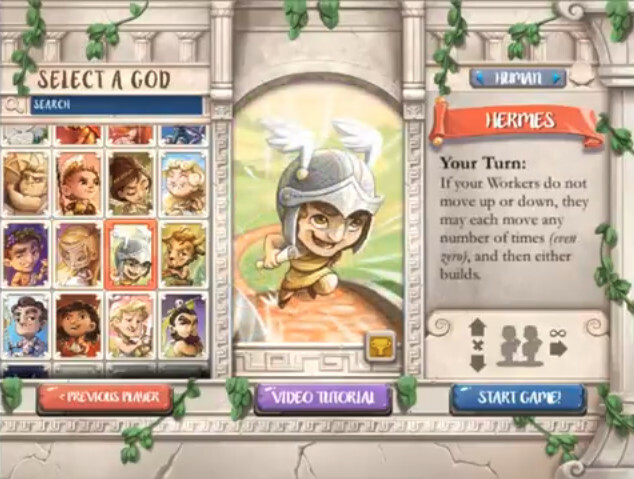 The Santorini mobile app will be not only offer a digital version of the game with AI opponent(s) as well as local and online multiplayer match-ups, but will also act as a valuable companion helper tool for the physical game with rules references for understanding the various god powers as well as a god randomizer, match logging and more. After long development by Roxley designer Orin Bishop, rules and technical wizard Michael Van Biesbrouck, and programmer Stefano Giugliano, we’re overjoyed to now be able to show you this sneak peek of the app in action! The app will have pass-and-play, online play, and Odyssey modes. The AI in is highly developed, can scale to different difficulty levels, and can play to the strengths and weaknesses of specific gods. Companion app features will include a rules reference, god randomizer, and match logging tools. More updates soon! In addition, Roxley is looking to include support for recommended matches, and are currently running a survey where players can submit some of their most memorable epic God match-ups. So if you’ve played the physical game, make sure to fill out the survey and let them know some good pairings. 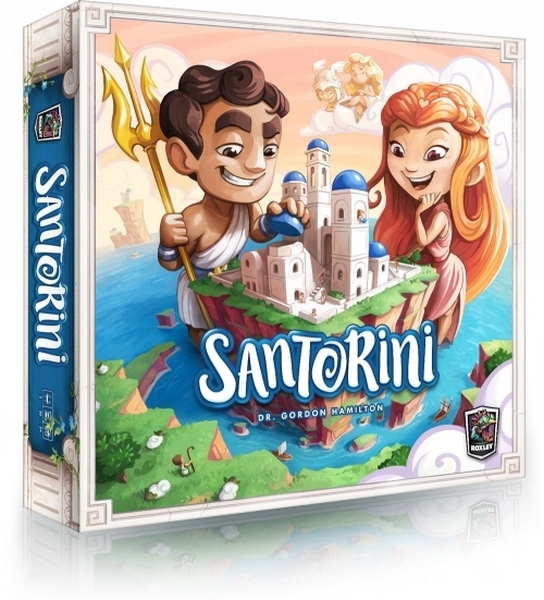 While this isn’t the first digital adaptation of Santorini we’ve seen (the game is currently available on Tabletopia) it’ll be great to have access to this quick-playing game on mobile devices for on the go play against AI opponents for those times when you don’t have the table space and/or someone to sit across from you. Below is a teaser trailer of the app, though unfortunately it doesn’t show any actual gameplay footage other than the character selection screens. I’ll certainly be following the development of this one closely.